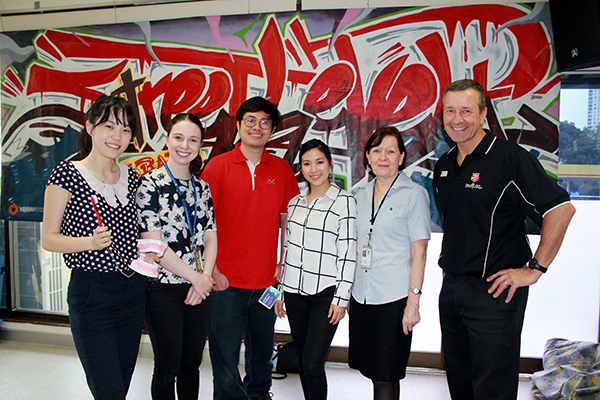 Kumiko Yokota, Nicole Stormon, Yu Sheng Wey, Tara Tan, Jan Anderson and Paul Maunder are part of a great program to help disadvantaged and homeless adults access free dental care in the inner city. Disadvantages and homeless adults now have access to free dental care thanks to an innovative oral health partnership. The Priority Access Program, delivered by the University of Queensland (UQ) School of Dentistry and Metro North’s Community and Oral Health Service, is seeing dental screening being provided at community organisations such as the Salvation Army and The Wesley Mission in Brisbane’s inner city. Metro North Oral Health Executive Director Sam Betros said access to dental care was harder for people experiencing homelessness and disadvantage due to barriers caused by personal finances, unemployment, access to transport and information, and fear of treatment. “It is important that we provide access to high quality dental care to everyone across the community no matter what their circumstance,” Mr Betros said. The Priority Access Program is seeing oral health screening days delivered with volunteer dental professionals and University of Queensland dental students at The Wesley Mission, Salvation Army, New Farm Neighbourhood Centre and Queensland Injectors Health Network. Salvation Army Team Leader Paul Maunder said the partnership provided a great connection to public dental health services. “There are a lot of disadvantaged people out there who have lost their smile. The Priority Access Program is helping to put a smile back on their faces,” Mr Maunder said. Mr Betros said following the screening and fluoride varnish treatment, participants are then referred to Metro North Oral Health Services facilities for further diagnostics, examinations, teeth cleaning, fillings or other dental treatment. The Priority Access Program is part of a broader University of Queensland study aimed at evaluating the effectiveness of a community-based oral health model of care to adult clients of homeless services in Brisbane and factors contributing to them not accessing care. The Priority Access Program started in 2017 and treats around 100 participants each year.